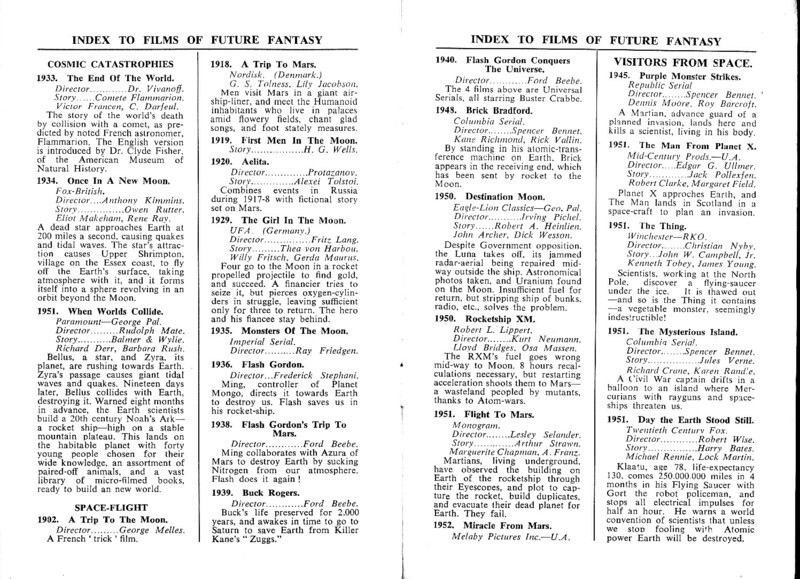 "My own entry into the sci-fi world really happened in 1952. I was drawing 'Flip and Flop' and other comic characters for Mick Anglo's comic-books when I conceived my great idea. 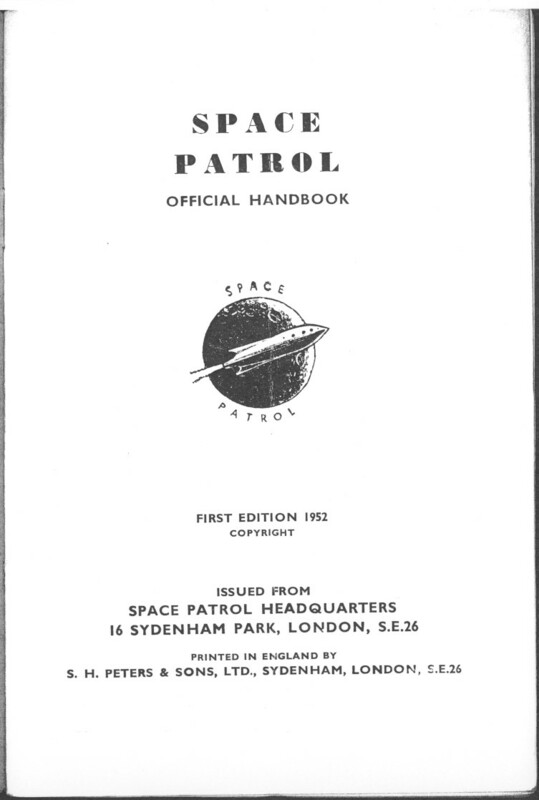 Within a month I had compiled and launched Space Patrol Official Handbook , from the Space Patrol Headquarters, 16 Sydenham Park, SE26! 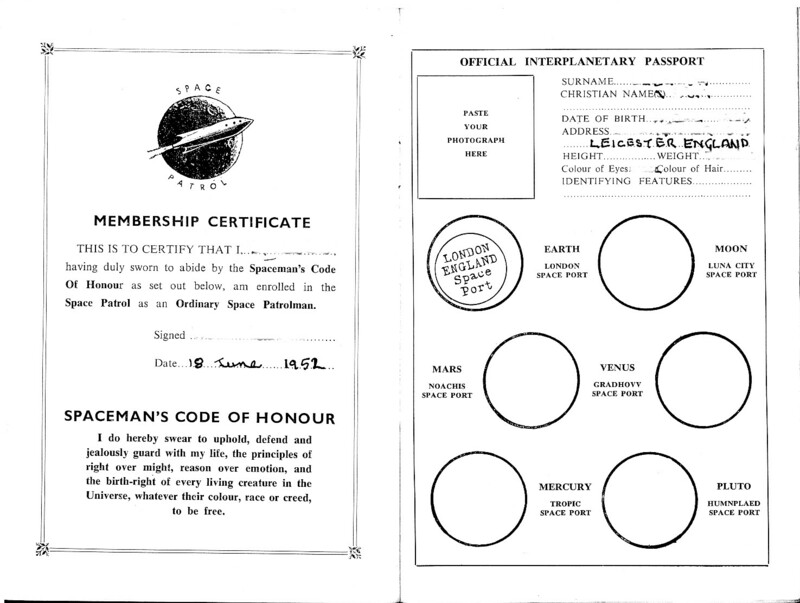 'Your Passport to the Planets', as I advertised it, contained 'Everything you want to know about the Life on Other Planets, Space Suits, Spacecraft Recognition, Insignia, Interplanetary Languages - plus Space Patrol Membership Certificate! 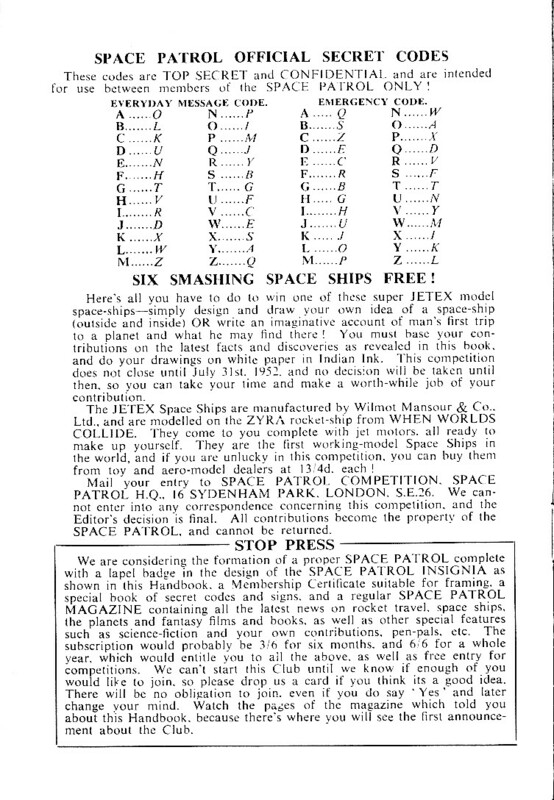 Secret Codes of the Spaceways! 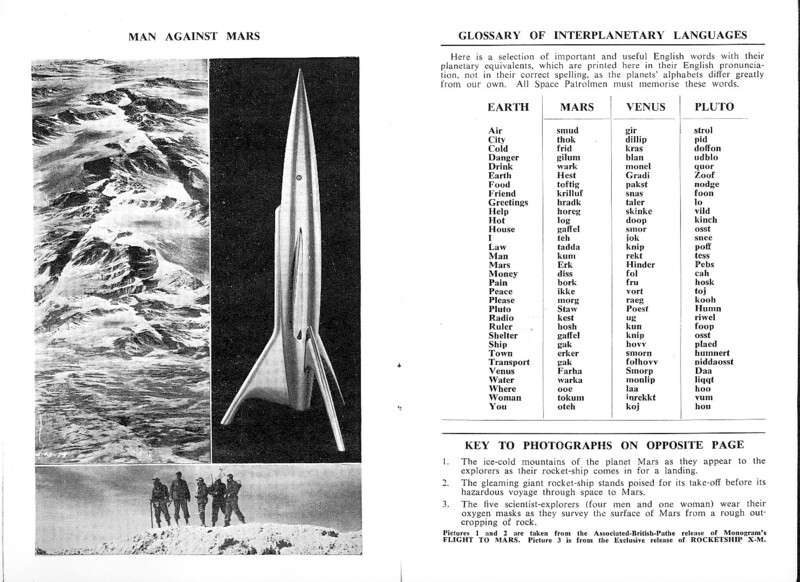 Interplanetary Passport! 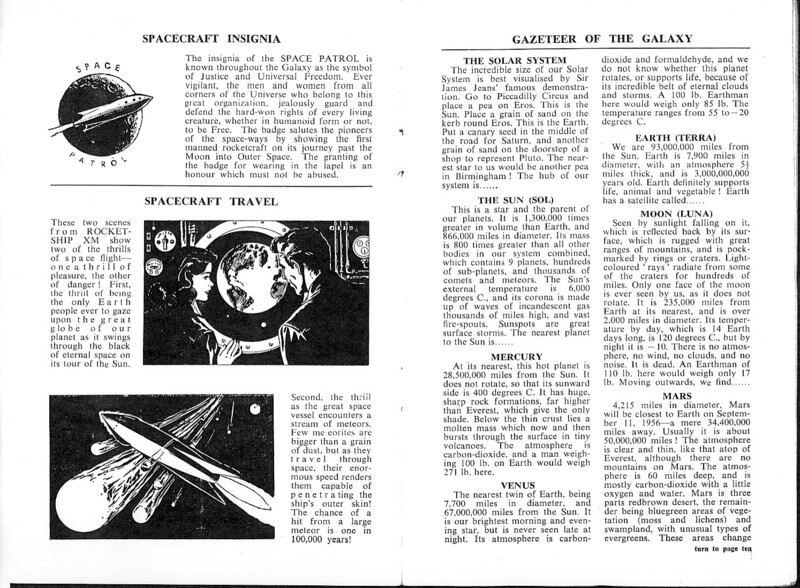 Gazetteer of the Galaxy! 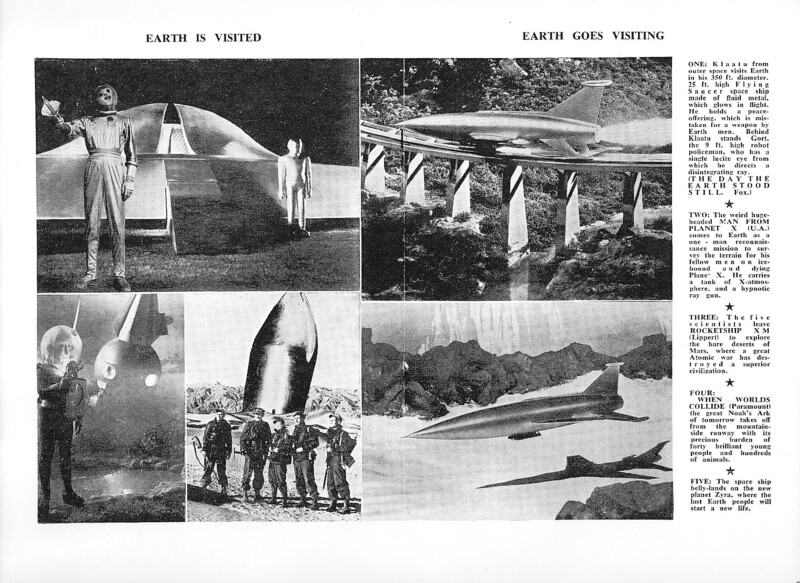 Real Photographs of Spaceships! 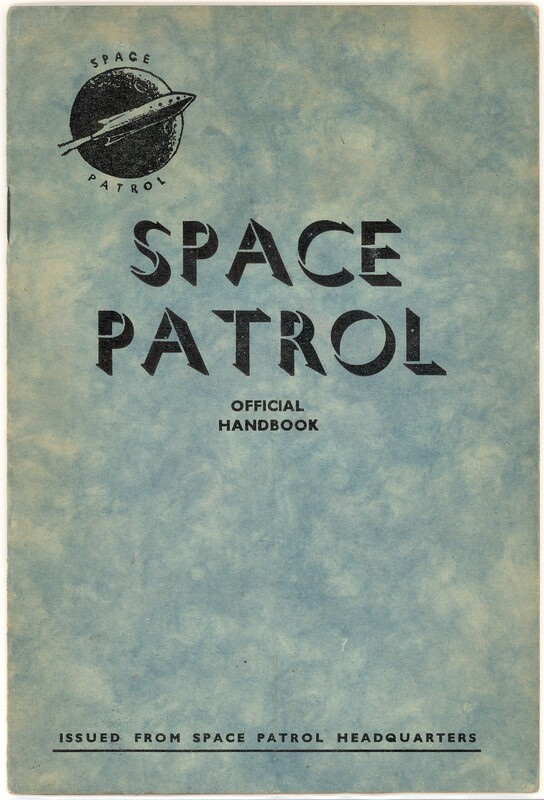 (pinched from space films, of course) and the Space Man's Code of Honour!' 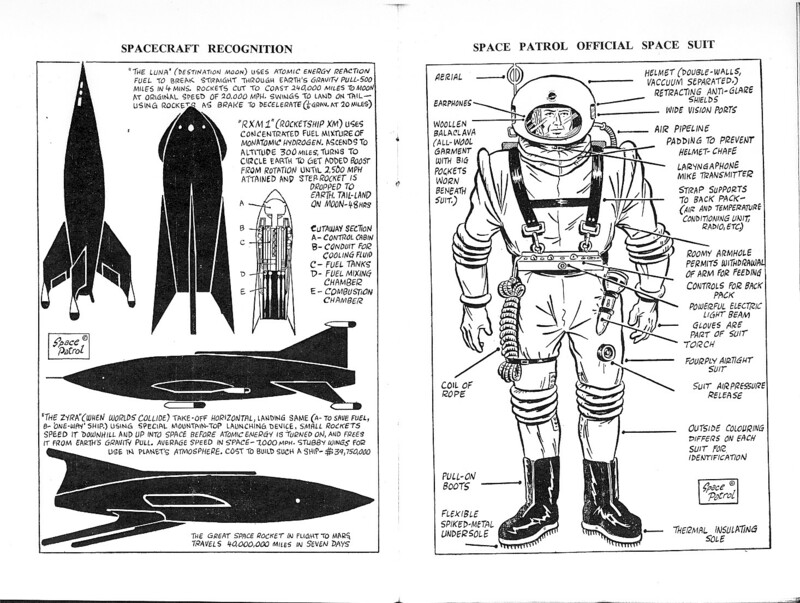 Also a 'Free Jet-ex Jet-propelled Rocket Ship in Easy Competition! - It Flies!' All this and more in one twenty-page blue-covered booklet for a one-and-sixpenny Postal order! A word of warning - don't send a 1s 6d PO to SPHQ, will you? I sold out and moved! 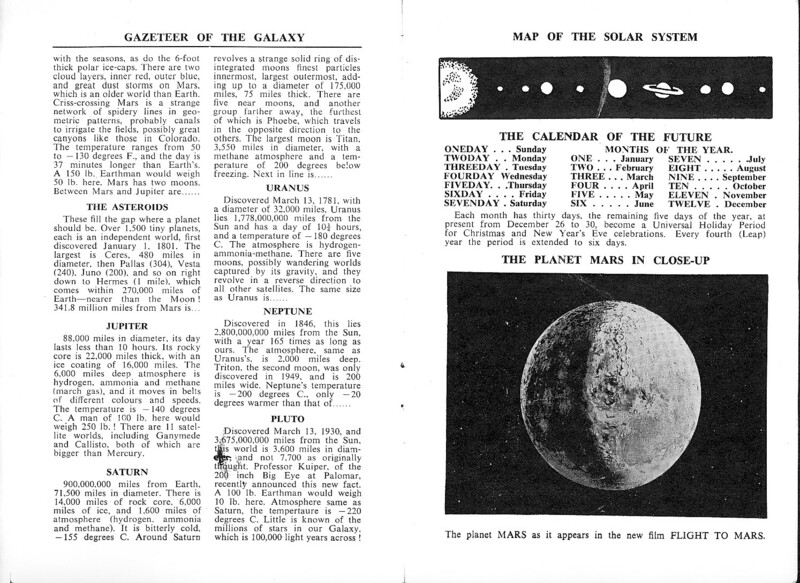 Anyway, as there are only two known copies left, the Handbook would now cost a little more than seven and a half pence!"